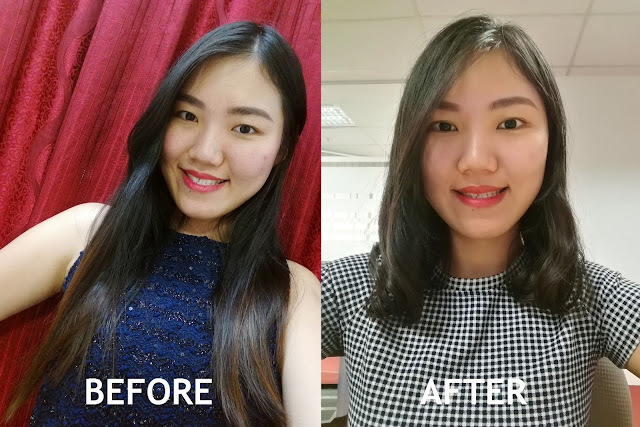 It has been a year that I remain my hair length without visiting a salon. Every girls love to keep the hair as long as we can, so I do. I have been keeping my hair long since my hair was at shoulder length before. Thus, I have been walking into a salon at Pandan Indah today to groom my hair. I am so excited after all. During my visit, a professional hairdresser is assigned to serve me. The hairdresser starts to consult or giving advises to me on how he would do the make-over on my hair. He suggests me to cut the hair short and make some styles like curl on it. At the moment, my mind is paused for a second because I didn't expect to cut my hair short as I love long hair so much. However, I believe on his professional skills and I am willing to give a try. After the consultation time, the hair's cut is getting to start now. Step 2: Hairdresser starts to apply some liquid onto the bottom part of my hair before doing the hair perm process. It takes about 15 minutes for this. Step 3: Then, the hair perming process begins. The hairdresser's assistant is dong the set up very carefully. I notice that there are lots of thick cotton used to pad in between my head and the curl's devices. They are really very useful as I don't feel any heat going through my head's skin. It's quite comfortable thou. This process takes about 30 minutes to be done. Step 4: After that, hair treatment is applied. The hair care being used is the Shiseido Professional The Hair Care Aqua Intensive Multi Care Milk for damage hair. 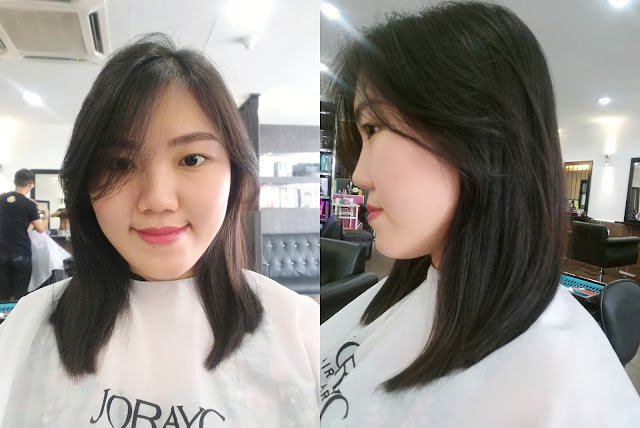 Tada~~ My hair is finally done! 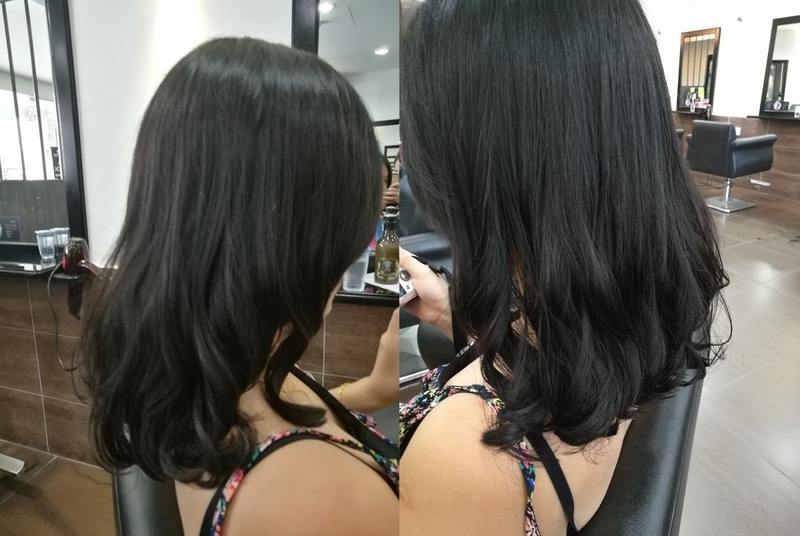 This is me before and after hair perming. I look normal before hair perming but I look stylish after hair perming. Furthermore, this is the BEFORE and AFTER of my hair condition. 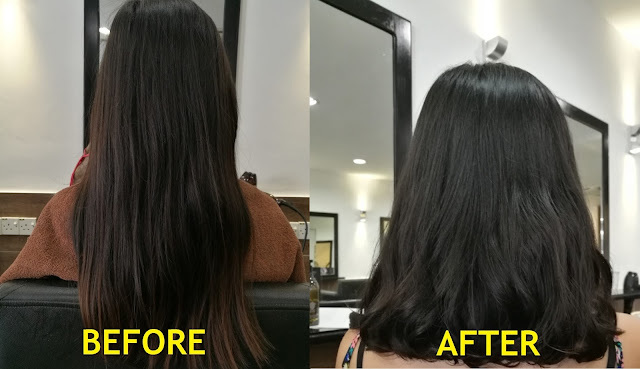 I am quite shocked with how bad is my previous hair condition as I don't get any chance to view my hair from the back. And the AFTER look is so much better now. Thank you so much to the hairdresser from Hair Attitude Workshop to groom my hair so nicely. 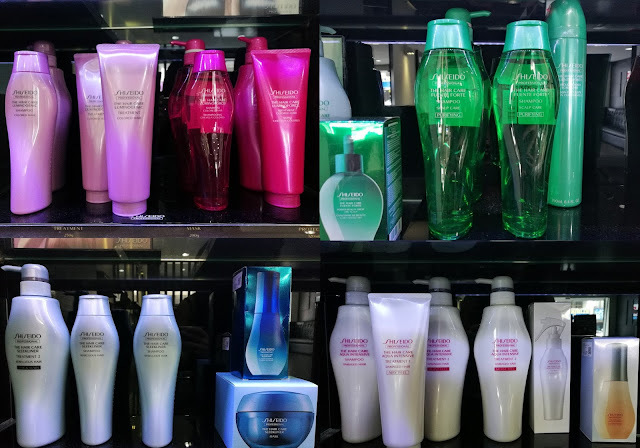 I notice that there are plenty of Shiseido products on the rack in the salon. If anyone of you love to grab some hair care products for yourself, you may also ask for their recommendations as well. The salon is spacious and comfortable. 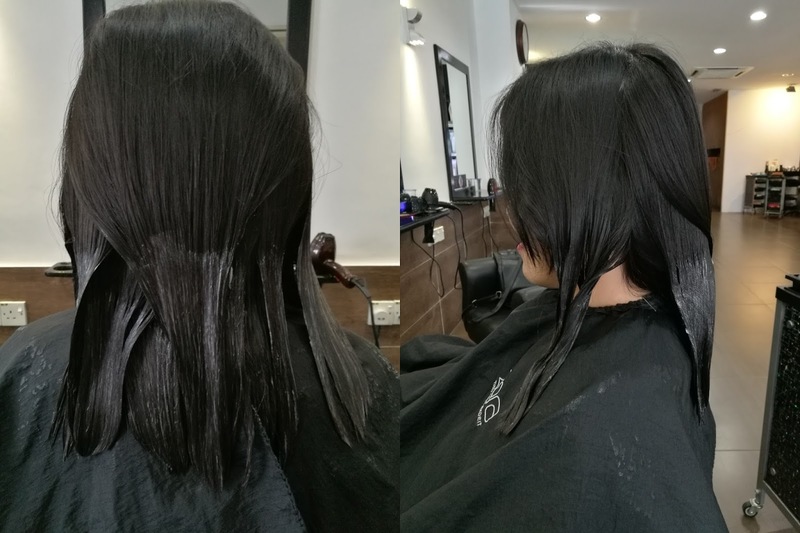 Do drop by for hair grooming as they provide a really good service to customers. I am very satisfied with what I am having today! *This promotion begins from now until Hari Raya. Please make appointment before your visit to avoid disappointment. 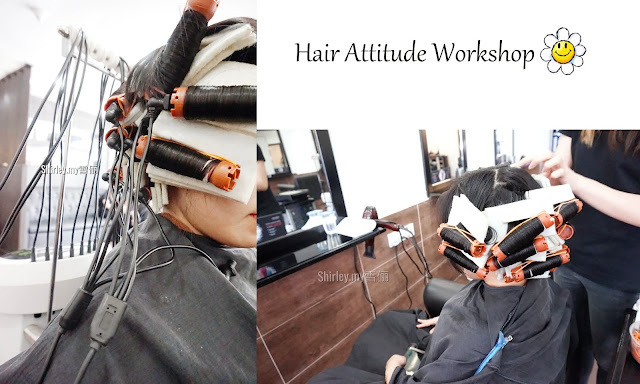 For more details, you may follow their Facebook page at https://www.facebook.com/Hair-Attitude-Workshop-At-Pandan-Indah-Branch.